Oh gosh, it's been a while. In fact, these last three months had been the longest time I've gone MIA from food blogging. Have I been so crazy busy at work? ...and some people guessed, was I broken hearted? Hmm, let's just say....there's wonderfulness in my oven. (God forbid...another...) banana chocolate baked goods? (Did I finally get on to making my own..) lasagna? It's something real easy this time. 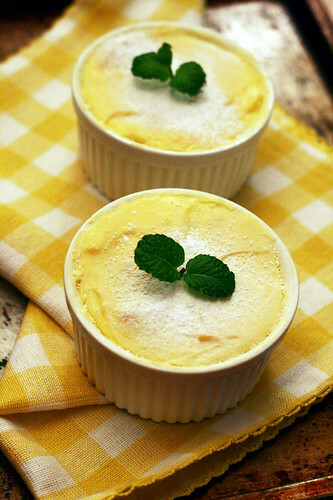 Just little plain ol' baked Lemon Cheesecake. 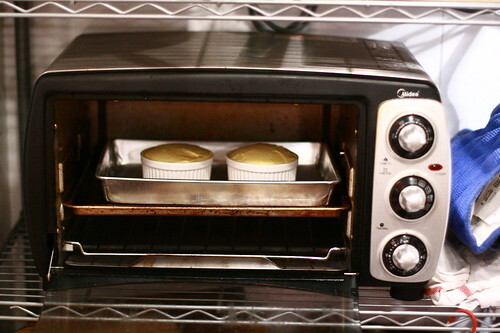 Preheat oven to 180C/350F. In a mixing bowl, beat egg and sugar until pale and fluffy. Add cream cheese cubes, beat until creamy. Add lemon juice and lemon zest, beat until creamy and well combined. 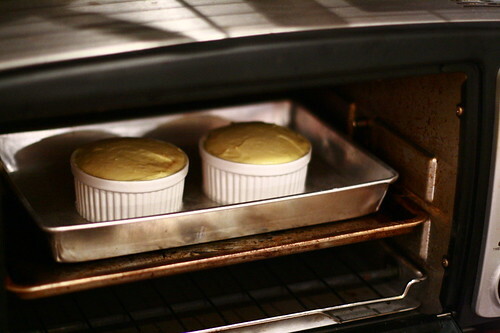 Pour into 2 ramekins and bake for 15 minutes. You can use a small spring form pan, but I couldn't be bothered. If you use a different pan, baking time may be different. After baking, let cool and refrigerate. Bring back to room temperature before consumption, decorate with thinly sliced lemon or mint leaves, or anything you like. Let's just say, the word oven is not irrelevant. I've been away because of........................this.